A separate website where the SFI partners can sign up for these events will be made available soon. 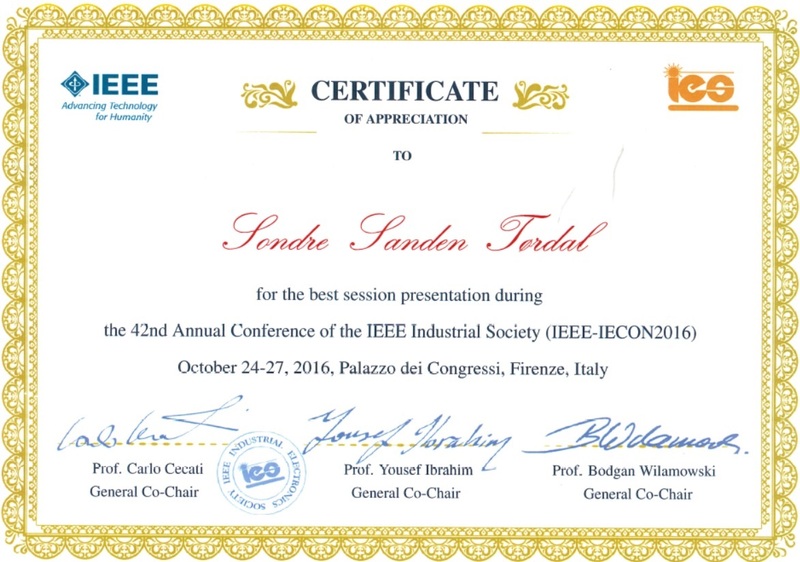 PhD candidate Sondre Sanden Tørdal (WP2.5) received the best session presentation award at the 42nd Annual Conference of the IEEE Industrial Society (IEEE-IECON 2016), October 2016 at Firenze in Italy. 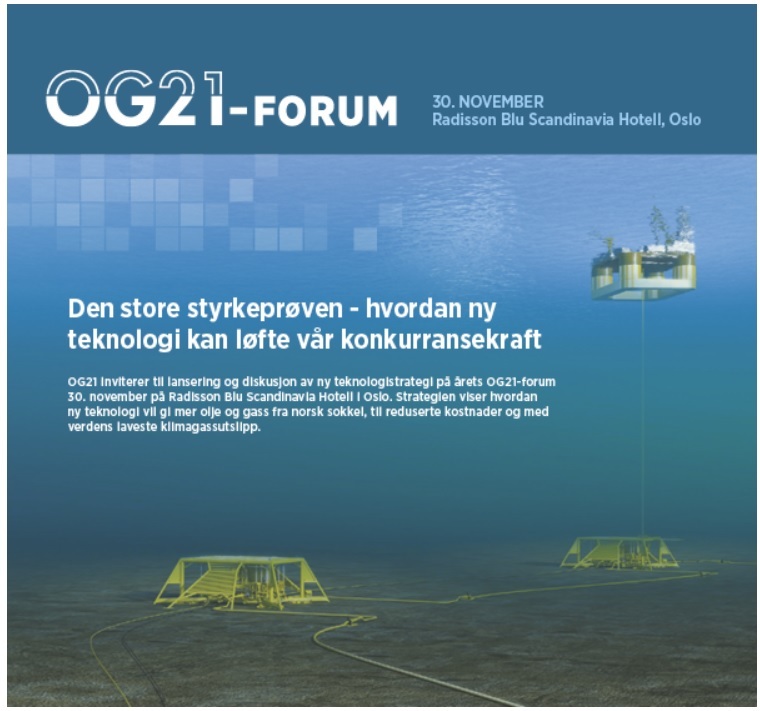 The paper presented at IECON-2016 was joint work between the University of Agder and the SFI Partner company MacGregor Norway AS: S.S. Tørdal, P.O. 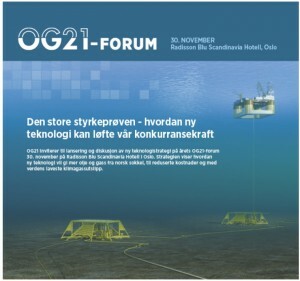 Løvsland and G. Hovland, ”Testing of Wireless Sensor Performance in Vessel-to-Vessel Motion Compensation”, Proc. 42nd Annual Conf. 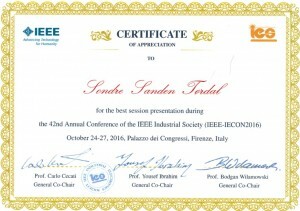 of the IEEE Industrial Electronics Society (IECON) 2016, Florence, Italy. 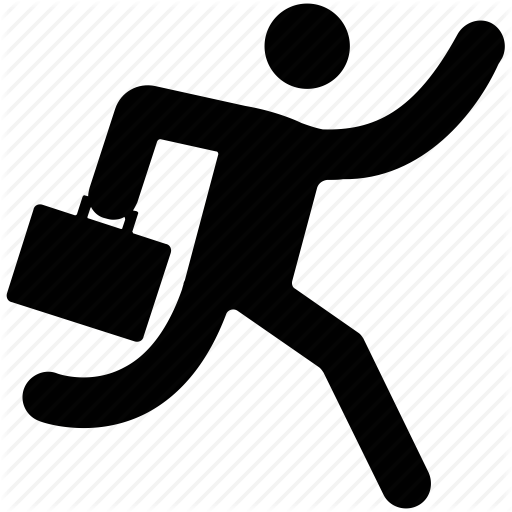 The presentation is available in ProjectPlace. From the left to right : Rune Schlanbusch (Teknova) and Luigi Tironi (Redaelli). Redaelli is a world leading designer and producer of steel wire ropes with over 200 years of experience. 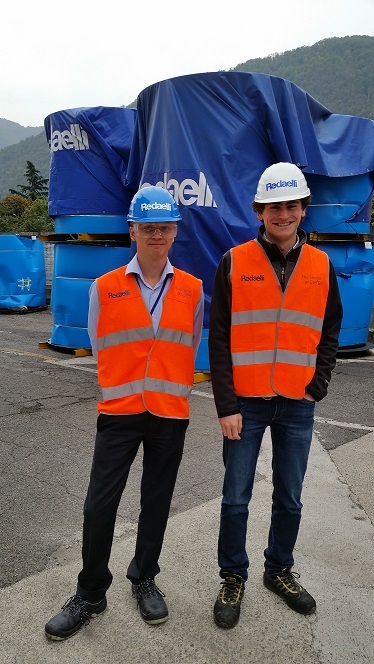 The visit to Redaelli was triggered by recommendations from the work package reference group, holding Redaelli as an important supplier of steel wire ropes. 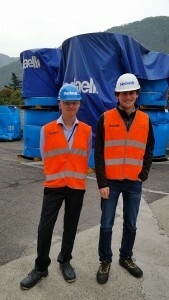 The visit took place at Redaelli’s design and production facility in Gardone Val Trompia located in north of Italy. 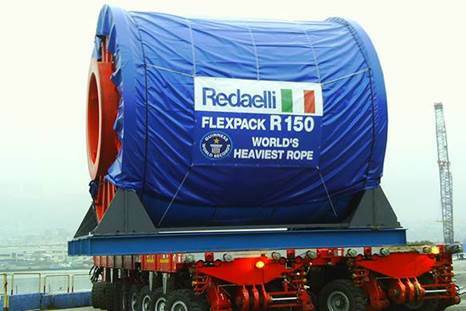 Redaelli have invested considerable resources in modern production equipment with enormous capabilities, displayed through setting a Guinness world record. Topics discussed included strategy for rope testing, failure mechanisms, inspection, non-destructive testing and discard criteria. Future opportunities include possible SFI spin-off projects including Redaelli as a natural consortium partner. 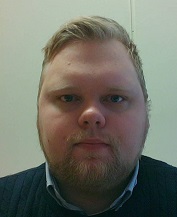 Alexander Meyer Sjøberg started as a Ph.D. candidate at NTNU under WP2.4 on 5 September 2016 with Professor Olav Egeland as the supervisor. Sjøberg holds a bachelor’s degree (UiA, Grimstad) and a double master’s degree (UiA and FHV) in mechatronics. He spent a total of two semesters at Fachhochschule Vorarlberg in Dornbirn, located in the Austrian Alps during the studying period. Also, he completed the 1-year program of mathematics at UiA, Kristiansand in 2011. 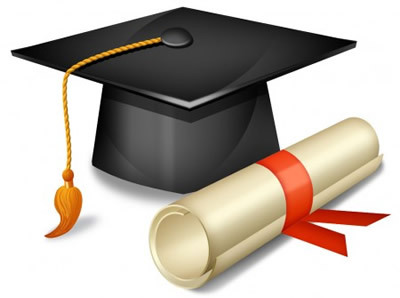 He graduated with the master’s thesis titled “Development and Implementation of a Real-Time 6 DOF Pose Estimation Algorithm for an MS Kinect 2” under the supervision of Sondre Sanden Tørdal, and the thesis was linked to WP2.5.